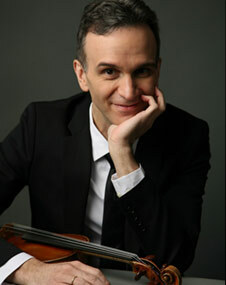 Since its launch in 2009, Gil Shaham’s exploration of “Violin Concertos of the 1930s” has fostered a wealth of collaborations between the Avery Fisher Prize-winner and the foremost orchestras and conductors of three continents. 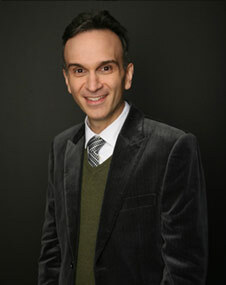 The project has been recognized as “one of the most imaginative programming concepts in years” (Musical America), and Shaham’s inspired renditions of its many masterpieces are universally celebrated. Now the first installment of this monumental journey has finally been captured on disc. 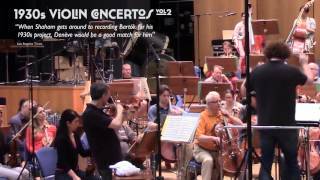 Recorded live with four of the world’s preeminent orchestras – the New York Philharmonic, Boston Symphony, BBC Symphony, and Staatskapelle Dresden – as well as with esteemed New-York-based chamber ensemble Sejong, the resulting 1930s Violin Concertos Vol. 1 represents a major and unparalleled artistic statement. 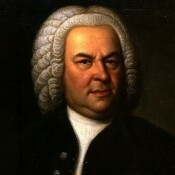 Due for release on February 25 on the Grammy Award-winning violinist’s own independent recording label, Canary Classics, the double album presents him in live accounts of five of the decade’s most compelling concertos, with examples by Barber, Berg, and Stravinsky conducted by his frequent musical partner, David Robertson; Britten’s concerto led by Juanjo Mena; and Hartmann’s directed by Shaham himself. 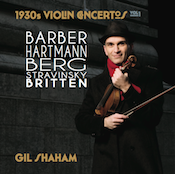 Click here to download the 1930s Violin Concertos Vol. 1 on iTunes and click here to pre-order it on Amazon. Gil turns to Bach’s Sonatas and Partitas for unaccompanied violin on his upcoming solo recital tours of the U.S. and Italy, with dates in Kansas City, MO (Feb 5), Cleveland, OH (Feb 6), Denver, CO (Feb 9), and Baltimore, MD (Feb 23), as well as in Rome (Feb 14) and Florence (Feb 15). 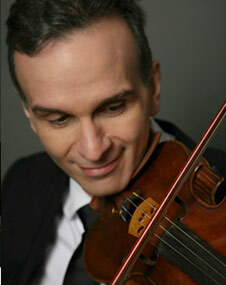 For the past two decades, Avery Fisher Prize-winner Gil Shaham has proven himself one of the foremost exponents of Korngold’s Violin Concerto. Hailed by the Los Angeles Times as “brilliant, almost ecstatic,” his way with the work is such that when the Vienna Philharmonic and Zubin Mehta bring the quintessentially Viennese classic to Carnegie Hall on March 16, it is Shaham – an American – who is their soloist of choice. 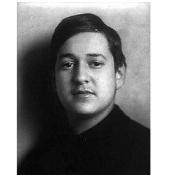 The Korngold also serves as the vehicle for the master violinist’s upcoming collaborations with the National Symphony under James Conlon at the Kennedy Center in Washington, DC (April 10-12); the Houston Symphony led by John Adams (Jan 31–Feb 2); the Cleveland Orchestra and Franz Welser-Möst, during their annual Miami residency (Jan 24-27); the symphony orchestras of St. Louis (March 21 & 22) and Austin (April 4 & 5); and the Orchestre de Paris in France (Feb 19). 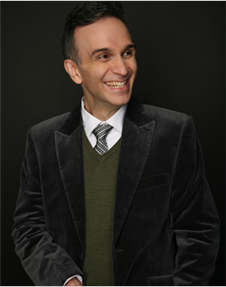 Beyond the concert hall, Bach’s Sonatas and Partitas for unaccompanied violin also figure prominently in Shaham’s winter programming, which includes solo recital tours of the U.S. and Italy, with dates in Kansas City, MO (Feb 5), Cleveland, OH (Feb 6), Denver, CO (Feb 9), and Baltimore, MD (Feb 23), as well as in Rome (Feb 14) and Florence (Feb 15).